Robo-Advisor vs. Human Financial Advisor, Which is Better? YOU ARE HERE:Home » Robo with Financial Advisor » Robo-Advisor vs Financial Advisor – Which is Best? 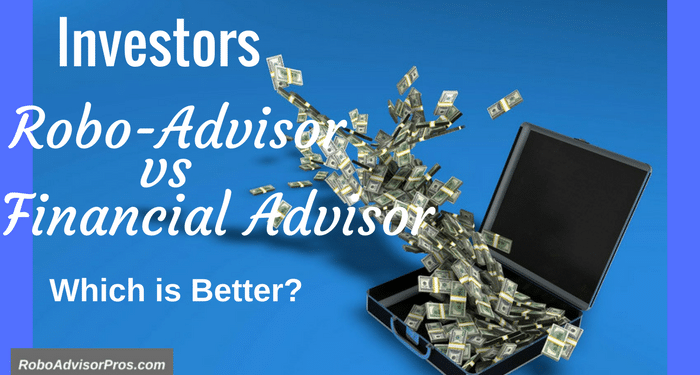 Which is Better, Robo-Advisor or Human Financial Advisor? Robo-advisors are everywhere you turn. Or, so it seems. These automated online investment platforms appeal to new and younger investors, but they can be a good fit for seasoned pros as well. The key to deciding whether to go robo-advisor or human financial advisor is to understand what’s right for you and your financial situation. Are you tired of paying high fees and commissions with a traditional financial advisor? Does the investment advisor at your local bank seem to pitch you only their own products? Do you need someone to walk you through your investment choices? Your to these questions will help determine whether to go robo-adviosr or financial advisor. There are differences between a robo-advisor and a traditional financial advisor. Each one has their strengths and weaknesses. The best investment solution depends on what kind of investor you are, your comfort level with DIY, investing style, risk tolerance, and goals. Robo-advisors can work well for a variety people or for a robo with human touch, you might look into a robo-advisor with access to a human financial advisor. Here’s what you need to know about the differences between robo-advisors that manage your investment portfolio automatically thanks to algorithms and proprietary software and traditional financial advisors. Robo-advisors are different than traditional financial advisors. From the cost, client interaction, investment selection, and more, robo-advisors can be a great choice for the right investor. Following are reasons why robo might be best for you. One of the biggest benefits to robo-advisors is the cost. In comparison with traditional financial advisors, most robo’s fees are quite low. And, your investments’ costs have a direct impact on your investments’ performance, especially over a long time horizon. Traditional financial advisors typically charge 1% or more of the value of your investment portfolio just to manage your investments. You may also pay transaction and other fees on top of the 1% management charge. So, if you had $1 million invested with a traditional financial advisor, you might pay $10,000 annually in management fees. That can quickly add up over the long term. Most robo-advisors on the other hand charge less than 1%. In fact, many robo-advisors have investment fees lower than 0.5% per year. Betterment charges a 0.25% fee for accounts up to $2,000,000 with no minimum investment amount when you open a Betterment Digital. That’s a $7,500 per year savings in our previous example. Most robo-advisors don’t provide much if any, direct contact with investors. So, if you have questions or want to pick up the phone and ask an advisor why the stock market is down, robo-advisors may not work for you. But, if you’re fine with your financial advisor not providing hand-holding services, robo-advisors can be a great automated approach to investing. You’ll need a sense of your investing goals and time horizon. And, you need to be prepared to ride out a market dip with a robo-advisor who you can’t call. Although, several robo-advisors are offering human or almost-human financial planning as well. Most traditional financial advisors want to work with clients with a considerable nest egg. Since they earn a 1% fee based on your assets, not your earnings, managing large investment portfolios is how they earn their living. Many investors don‘t meet the minimum $250,000 to $1,000,000 requirements for a traditional financial advisor. Most robo-advisors have lower initial minimums and a few will manage your money if you only have $100. With robo-advisors, you have to be willing to give up control over your investment choices. Robo-advisors are the perfect choice for investors who don’t have enough time, interest, or knowledge to pick the best investments. You just fund your account, tell them when you plan to use the money, and decide how much risk you are willing to take. Some robo-advisors are goals -based and adjust the strategy based upon your goals. Ultimately, the robo-advisor will choose the optimum asset allocation based on their algorithms. Many people still like to work with a traditional financial advisor. They have a few key advantages despite the lower cost and rising popularity of robo-advisors. 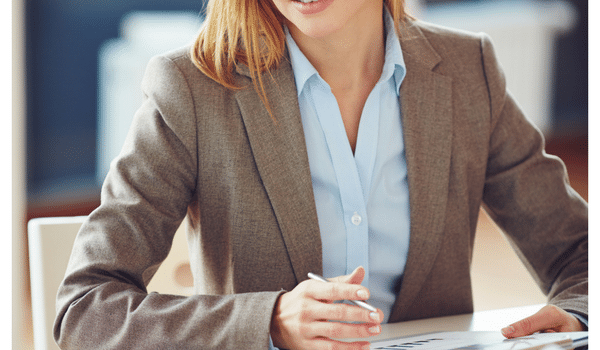 Here’s how to know if a traditional advisor might be the right choice for you. Investing is not a “one size fits all” with a traditional financial advisor. You can receive specific advice about your family’s financial situation. Everyone’s situation is different or has some little wrinkle in it. Being able to address all the nuances of our lives is a big advantage for traditional financial advisors. That said, Vanguard does start their robo-advisory process with human financial advisors and Personal Capital and Betterment also have a slate of advisors for consultation and advice. If you like to meet face to face and look someone in the eye when you turn over a pile of money to him or her, then you’re not alone. A lot of people are still simply not comfortable conducting business solely online. Traditional financial advisors manage your investment portfolio and are also available to listen to your questions and fears. You have someone to call even if it’s to calm your fears or reassure you that you’re doing the right thing. The firms that run robo-advisors typically have a customer service phone line you can call, but they’re there to answer questions about the service or website, not provide investment advice. With robo-advisors, there typically isn’t a single person responsible for your account. As previously mentioned, there are a few robo-advisors that have added extra premium services where you can talk to a financial planner over the phone or via video chat. Using a traditional financial advisor gives you more control over your investments. You have a greater say in how you want an advisor to invest your funds on your behalf. If you want him or her to stay away from tobacco companies and shares of gambling stocks, it’s as simple as a phone call conversation with your financial advisor. The same isn’t true with robo-advisors. Once you provide the robo-advisor with your time horizon and risk tolerance, the investing is hands-off for you. Investing with robo-advisors is designed to use a proprietary blend of exchange traded index funds (ETFs) that have a set asset allocation and automatic rebalancing. There’s no wiggle room for you to customize your investment portfolio and load up on a single stock or a specific industry if you wanted. Humans are prone to errors. We make mistakes. We’re often biased in our decision making. The same might be true for your financial advisor. The hype of beating the stock market index draws investors to mutual fund managers and financial advisors that have a history or reputation for trying to outperform the markets. Humans have a bias where we think we are more skillful or knowledgeable than we really are. There’s a greater potential for humans to make a mistake, trading in and out of stocks in an effort to beat or time the market. A robo-advisor isn’t prone to those kinds of human errors. But, then again, robo-advisors are only as good as the human-created investing algorithm. The result of these human mistakes can be a return on investment that under-performs the stock market. Most results from actively managed mutual funds . Most of the time you would have been better off simply investing in an index fund instead of trying to have your financial advisor try to beat the market. That’s the beauty of robo-advisors. Research has consistently shown that actively managed mutual funds typically underperform index funds and passively managed funds like those offered by robo-investors. Robo-advisors offer a great alternative to traditional financial advisors. They are a safe, low cost, and with a hands off approach to investing. If you don’t need all of the services offered by a traditional financial advisor, you don’t meet the minimum required initial investment, and don’t need specific, individualized attention, then a robo-advisor may be a great choice for you. Finally, both robo-advisors and traditional financial advisors have their distinct differences. You should weigh your options and find an advisor that fits your preferences and your family’s needs. 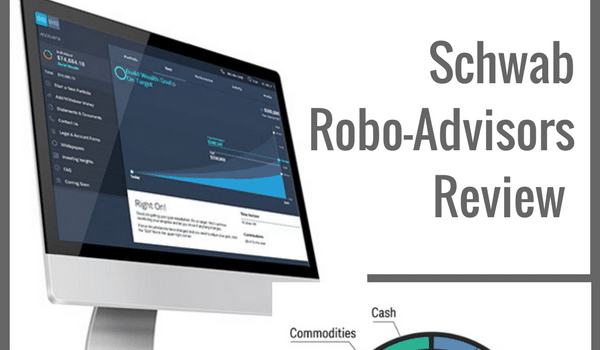 And, as the robo advisory industry evolves, you’ll find more tobo-advisors with a human touch and more financial advisors with automated investment options. Hank Coleman is a personal finance expert who writes extensively about investing and retirement planning on this blog, Money Q&A, where he answers readers’ tough financial questions. Hank has a Masters degree in finance and a graduate certificate in personal financial planning. You can follow him on Twitter at @MoneyQandA. Comprehensive post. I prefer robo-advisors, for now. My only concern is that, if I had a lot of money to invest (like more than that protected by SIPC insurance), I don’t know if I’d feel comfortable handing it over to a start-up. In that case, a robo-advisor from a more established company like Vanguard might make sense. 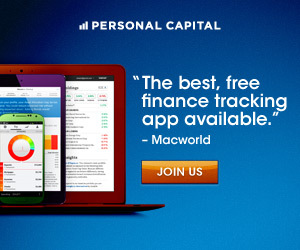 Hi Markus, Robo-advisors are great for younger investors, just starting out. Regardless of where you live, there are robo-advisors available across the globe. Search for a lower fee robo-advisor if you’re just starting out and don’t need many bells and whistles.